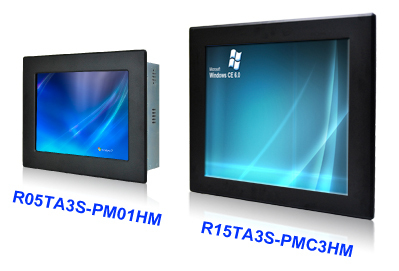 Winmate is going to announce its new CortexTM A8 Panel PC series, TA30, including 5.7”,10.1”,15” in order to provide diversified solutions for customers. Using the motherboard designed by Winmate, the TA30 Series supports wide range of operating systems from Android 2.3, Linux 2.6.37, to Windows CE 6.0. It enables system integrators or end users to select suitable platform according to their demands. The TA30 Series also features various power applications. Firstly, there is PoE (Power over Ethernet) solution that allows to be installed everywhere without being limited by power. Then, the TA30 can support 12V or 24 V power input so that increase its flexibility of use. Moreover, its low power consumption is suitable for non-shutdown environment.